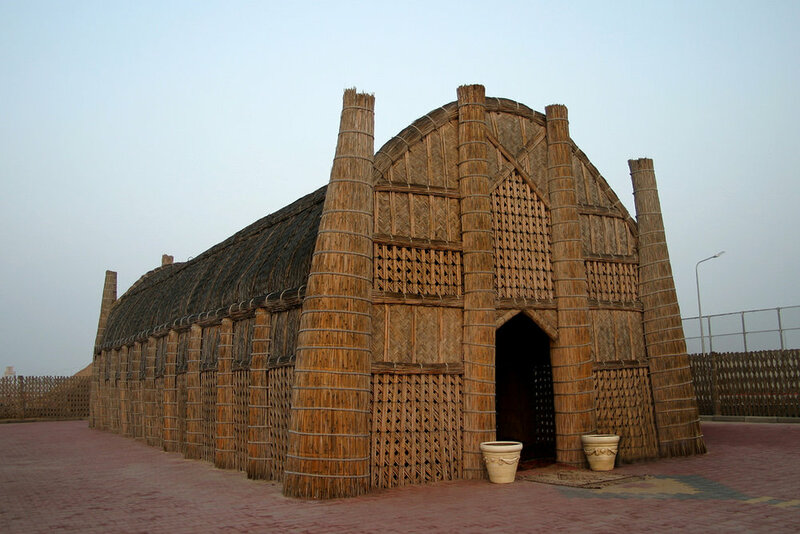 A mudhif /muˈdiːf/ (Arabic: المضيف‎ al-muḍīf) is a traditional reed house made by the Madanpeople (also known as Marsh Arabs) in the swamps of southern Iraq. In the traditional Madan way of living, houses are constructed from reeds harvested from the marshes where they live. A mudhif is a large ceremonial house, paid for and maintained by a local sheik, for use by guests or as a gathering place for weddings, funerals, etc.